I’m back to making postcards for EBHQ to sell at the next Voices in Cloth quilt show. 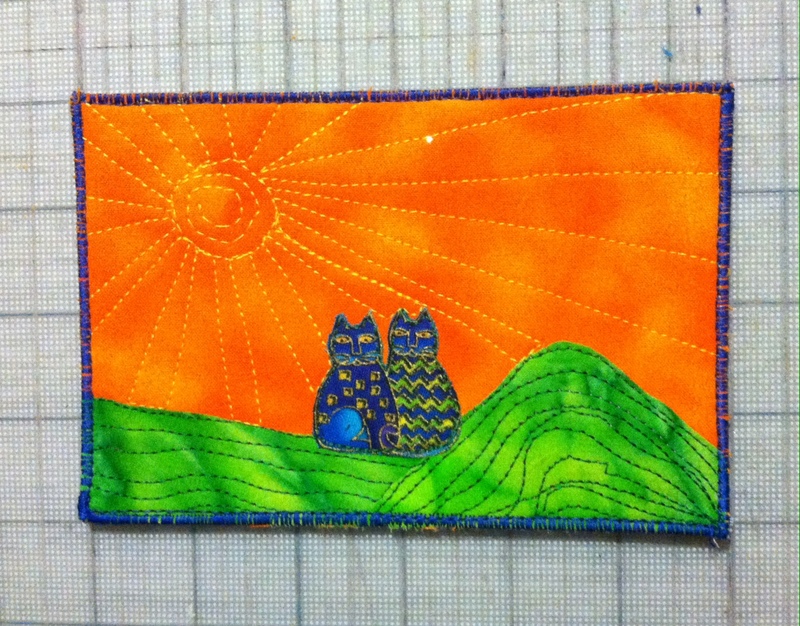 This one has Laurel Burch cats, and a sun made by machine stitching. Instead of zigzagging around the appliqué as I usually do, I just did a line of straight machine stitching on the outside edge of each piece. 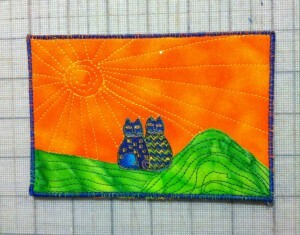 This entry was posted in Fabric postcards, Machine applique and tagged East Bay Heritage Quilters, EBHQ, Voices-In-Cloth. Bookmark the permalink.